I was back on the island where I had spent two summers working as a wildlife guide. Two extraordinary summers filled with fabulous people and wonderful wildlife, from whales and dolphins to eagles, seabirds and basking sharks. I had made firm friends that to be honest feel more like family. Now I was back, not permanently but for more than the fly by afternoon visit of my previous return. So after so many years I was once more sat on top of Sea Life Survey’s M.V. Sula Beag, the boat I had worked on in my second season, watching as we meandered out of Tobermory heading for the Sound of Mull and the waters beyond. I gazed at the familiar sights, the multi coloured shop fronts that any kiddie of a certain age would recognise as Balamory, the houses extending up behind them, intermingled with deep green trees, the yachts and sailing vessels moored up, the lifeboat station and the small Kilchoan ferry. We pass Calve Island that sits in front of Tobermory Bay and head out into the Sound of Mull, passing the small Rubha nan Gall lighthouse. More memories come flooding back as the Sound stretches in front of us, bordered by the island herself and the mainland of the Ardnamurchan peninsula. The guide’s give their talk, pointing out what species of wildlife we might encounter and where we are heading. It is all so familiar, and yet so different, for one thing I am listening rather than giving the talk. As we come down the Sound past Bloody Bay and to Ardmore Point everyone it seems are looking at the white-tailed eagles nesting in the pine trees, their pale heads and brown bodies striking against the deep green needles. It is then that I turn to scan the water and cry out with pounding heart ‘whale!’ A minke whale circles, working a small area of the Sound, searching for food as we sit and watch. The sound of its breath as it surfaces makes me shiver every time. Harbour porpoise join the foray, rolling at the surface like a small, black wheel. After a while we move on, heading out of the Sound into the patch of water between the Small Isles, Ardnamurchan lighthouse and the island of Coll. The water is smooth, silky and blue as the sun breaks through the patchy cloud. Hundreds of seabirds sit or skim the waters surface, Manx shearwaters, guillemots, puffins, razorbills, kittiwakes, gannets to name a few. Tiny storm-petrels dance over the extra smooth patches, their feet dappling the surface. An Arctic skua comes racing through chasing a kittiwake, trying to make it drop its catch of fish. On reaching the Cairns of Coll, a small cluster of rocky islands off the main island of Coll, we search the mixing waters where recent sightings of whale have been good. We are rewarded with sightings of another three minke whales, their dark backs gracefully breaking the now deep blue water, rolling and slipping beneath the gentle waves. Once more we sit and watch as the whales again work in a circle, searching for food, occasionally coming in close to the boat before reappearing further away. After a while we turn and leave the whales to the foraging, heading back towards Mull accompanied by those multitudes of seabirds. I can’t keep away from the sea and the next day sees me back on the boat for another trip. 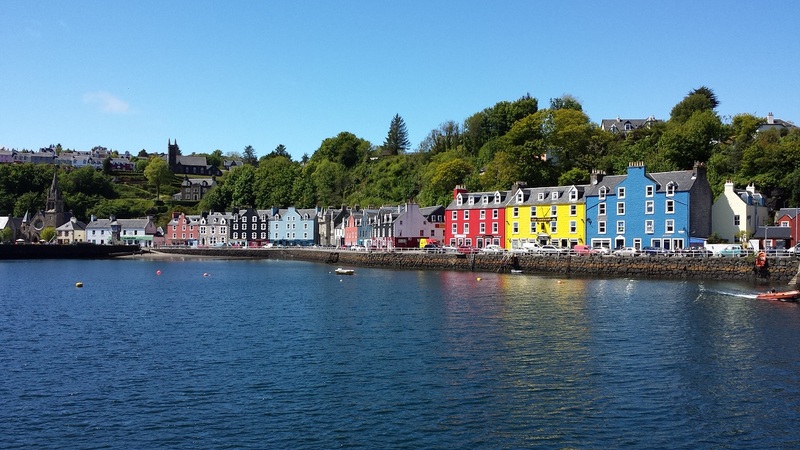 It is another gorgeous day, with calm seas and sunshine greeting us once more as we steam out of Tobermory and up the Sound of Mull. This time it is the sharp eyes of Andy Tait, a long term volunteer with Sea Life Surveys who spots a whale, a little further out of the Sound. But the photos reveal it is highly likely to be the same individual we had encountered the day before with the distinctive nicks in the trailing edge of its dorsal fin giving it away. Again we simply sit and enjoy, listening and watching as the whale works its way in a circle around us, before once more heading across to the waters just off the Cairns of Coll. In almost an exact repeat of the previous trip we spot more minke whales as we approach the mixing waters off the Cairns. But it some splashing a little further off that catches our eye and as we slowly make our way over it is soon revealed as the fast, deliberate movement of a group of common dolphins. We slowly move in their direction, and part of the group breaks away, speeding over, leaping synchronously together out of the blue water, sunshine glinting off the yellow patch on their sides. They approach us, bow riding and seeming to check us out as much as the other way round. But they are busy. The rest of the group remains aloof, intent on feeding and soon those that had come to investigate us return to that all important business too. But even to share a couple minutes of their time is magic, and as we head into the Cairns of Coll for lunch we watch them at a distance storming around, moving one way and then another, leaping high out of the waves and landing with huge splashes of white water. Lunch at the Cairns is another highlight that brings back a rush of memories. We anchor amongst the dark rocks, dappled with white and yellow lichen and covered with tufts of grass and the delicate flowers of seapink. The turquoise blue water gently rolls up onto white beaches made up of crushed shells. It is a truly beautiful and idyllic spot. Common and grey seals lounge on the black rocks, the braver ones approaching to bob at a respectable distance watching us, before almost spooking themselves and disappearing with a snort and a splash. All around Arctic and common terns patrol the water, passing back and forth, occasionally dropping down to catch a silvery fish. Although we wish we could, we cannot stay and soon it is time to leave. Slowly we make our way out from between the rocky islets to open water and then back across to Mull. 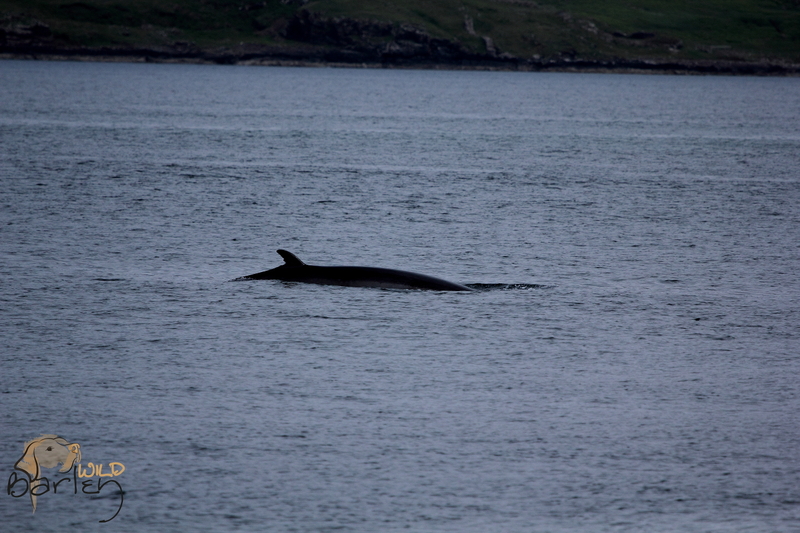 We see more harbour porpoise as we return and even one more distant whale. 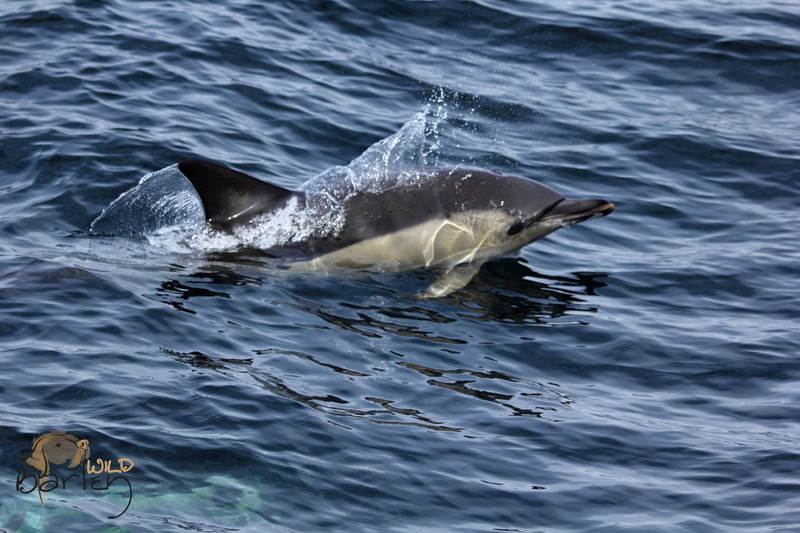 It has been magic to return to these waters, and once again the marine wildlife of the Inner Hebrides has not disappointed. Thank you to all at Sea Life Surveys for giving me such a warm welcome back.